Cyclists should be treated as a vehicle. This is what Mayor Greg Fischer and Congressman John Yarmuth (KY-3) showed when they announced new amenities for cyclists in Louisville. One of which is the city’s first ever bike boxes designed to improve safety for cyclists. The bright green bike boxes create a space between vehicles and crosswalks. This provides cyclists the opportunity to position themselves ahead of traffic in an intersection. Mayor Fischer said they want cyclists to be safe and comfortable while out riding on Louisville’s streets. This is also to encourage more people to switch to cycling, a healthier and more budget-friendly way to getting to your destination. Congressman Yarmuth added that the amenities they are deploying are dedicated to responsible cyclists and for motorists to have an easy way to share the road. Install and use a front light when riding at night or whenever you deem it is darker than usual. It also is beneficial to use a red rear reflector or even a light on yourself so you can be seen by other motorists from afar. A steady, strong light helps others know that you are there. Unless your bike can accommodate passengers, use it alone. Carrying too many passengers, more than the bike can handle, may only cause you trouble. You need both hands when riding. Refrain from any form of activity, such as carrying several bags or using your cell phone. Use hand signals. This lets others know you are changing lanes or making turns. Related: Is It Illegal To Ride A Bike On Sidewalks In Louisville? 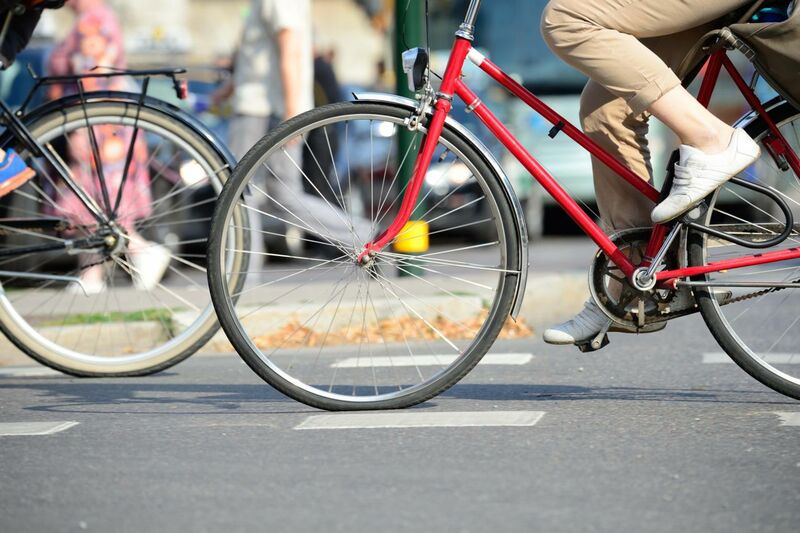 As a Kentucky Bicycle Accident Attorney, I encourage people to try and ride a bicycle to work. This will help you save on gas and it's healthy. You'd be hitting two birds with one stone. You get to save and work out. If these reasons are not enough to convince you to try cycling, think of your kids. Cycling could make great bonding opportunities for families.